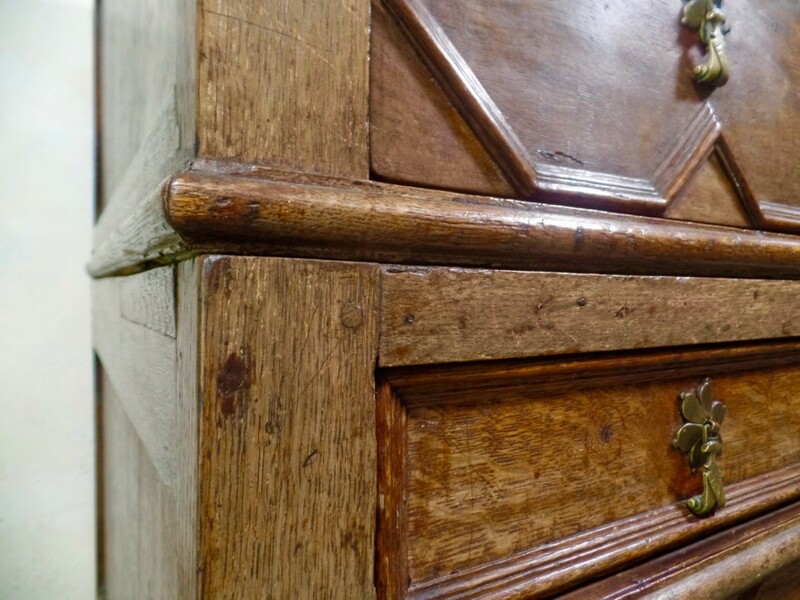 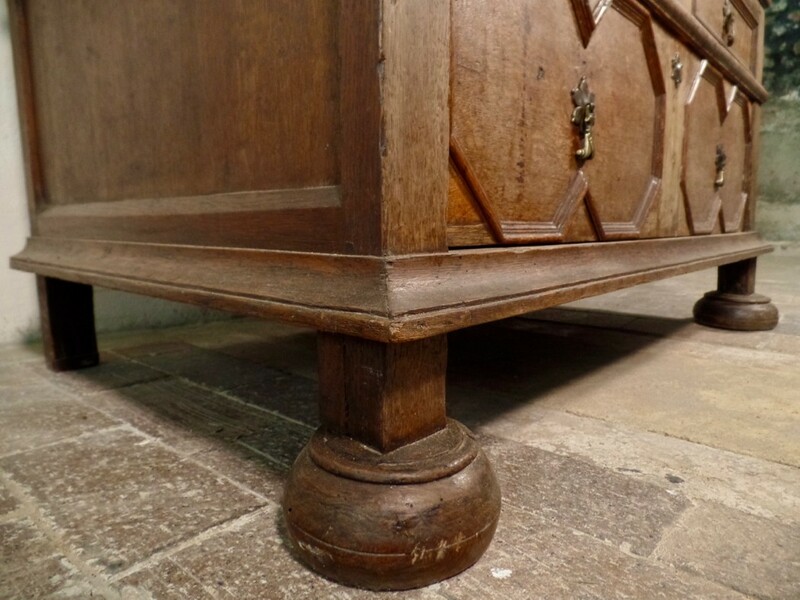 A rare 17th-century chest of drawers featuring an unusual two-piece part design. 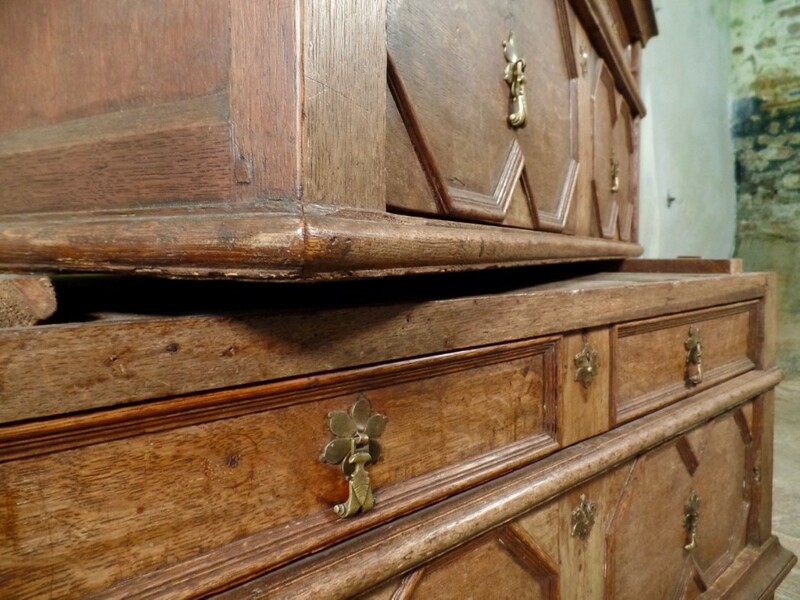 Made from solid oak which is featured on both the exterior and the interior of the drawers rather than the interior being made from a more typical and less expensive wood such as pine, showing the quality and expenses that would have gone into creating this piece. 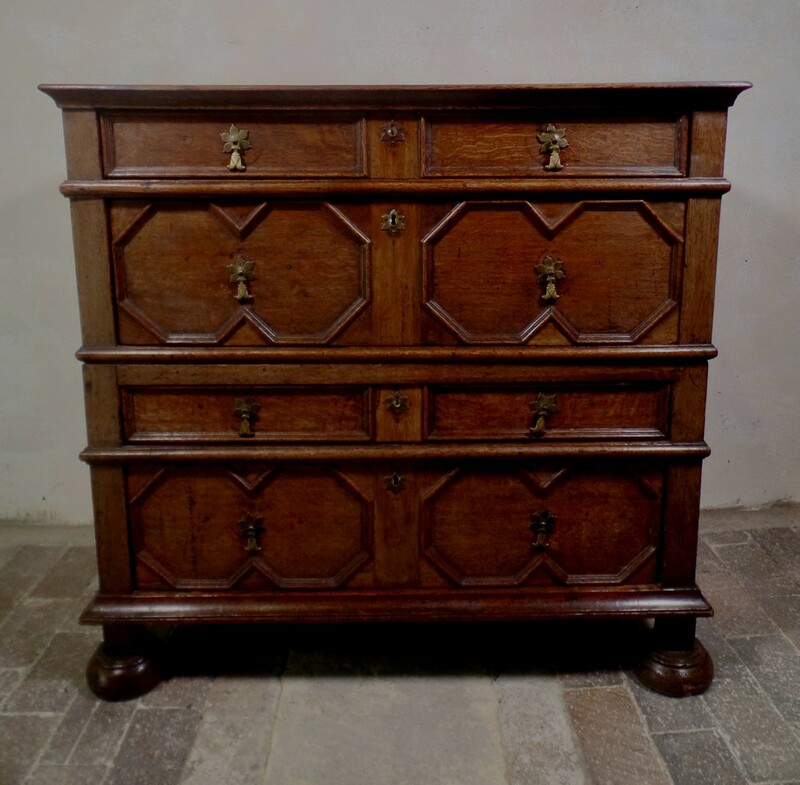 Probably a Charles II chest of drawers due to the design and structure, however not made from the typical walnut or veneered so possibly an earlier example. 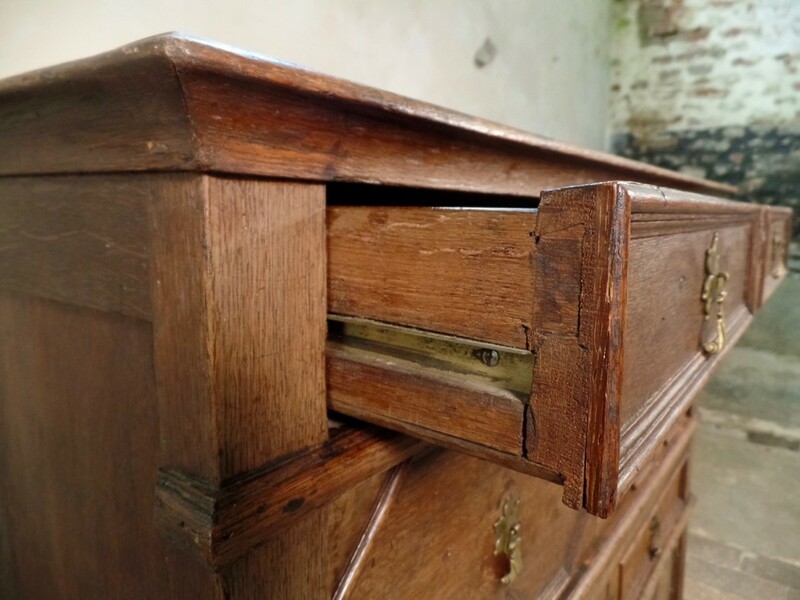 The top is composed of oak planks framed by bevelled edges. 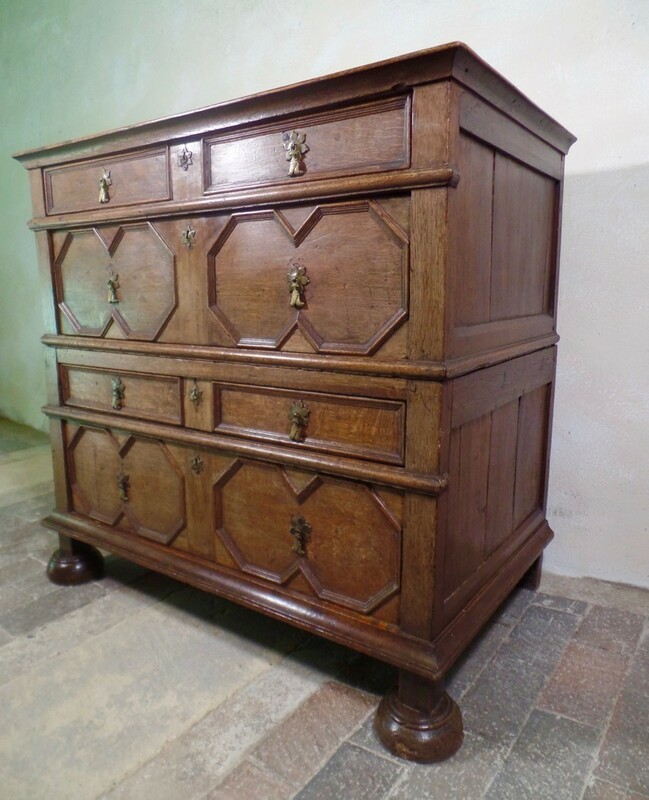 A charming design featured on the front drawers of bold geometric moulding with the chest being raised on bun feet. 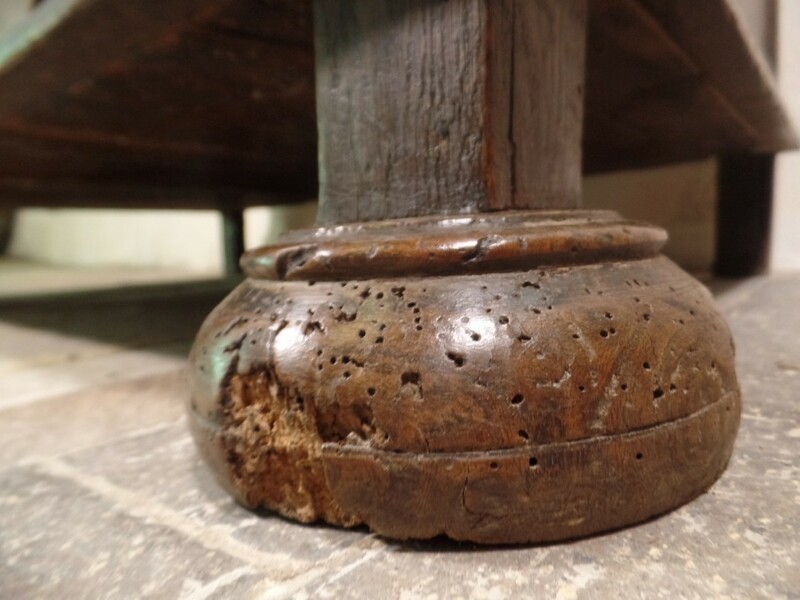 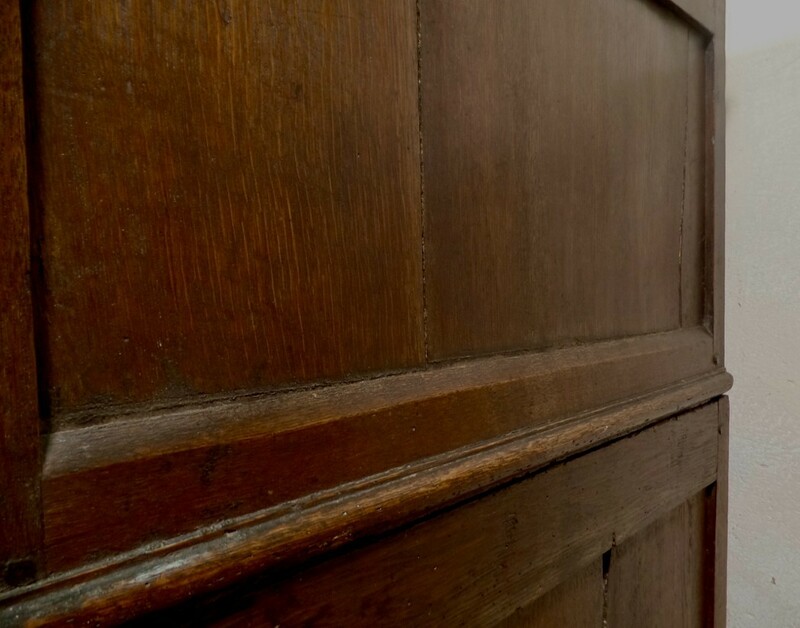 A few repairs throughout but in good condition for its age with signs of inactive woodworm to the feet.